An Angel Calling by author Caroline Quigley is one of the most complete and stunning books I have read yet about Angels. 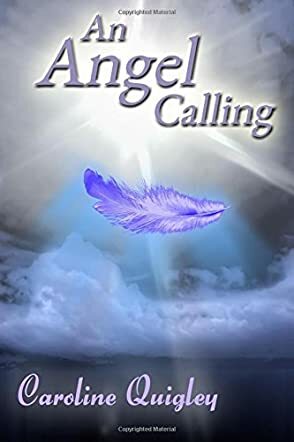 Included in the book is an introduction by the author that explains how she became interested in learning about angels and how she grew into her intuitive ability. From there, the book explains what angels want from us, how we can connect with them, how to use items such as candles, white sage, and crystals, and the meaning of feathers. The heart of the book contains visualization techniques and meditations, but most impressive is the list of angels provided, from guardian angels to Archangels. The reader will learn how to connect to these angels by creating a specific atmosphere, and they will learn how to invoke angels through prayers and affirmations. The book also contains illustrations, a glossary of archangels, and meditations for children. It concludes with true angel stories. The highlight of An Angel Calling was the middle section listing all the archangels including their specific aura colors, symbols, animals, crystals, and flowers. For example, Archangel Raphael has an emerald green aura or presence. Following this information were techniques for specific visualization and meditations for each angel and even ways to work with each angel. Author Caroline Quigley includes affirmations and prayers, as well as some personal experiences with each angel. There was so much to enjoy about this book, including the illustrations, the meditation techniques, and the personal accounts. I recommend the book to anyone who is interested in angels, prayer, or unique ways to brighten up their lives.